* Mariell's top selling wholesale wedding tiara vine has Swarovski crystal and rhinestone sprays on a flexible hair vine to accommodate any bridal hairstyle. * Mariell's exquisite wedding tiara vine features a cluster of crystal flowers abounding with brilliant Swarovski crystal and rhinestone sprays. 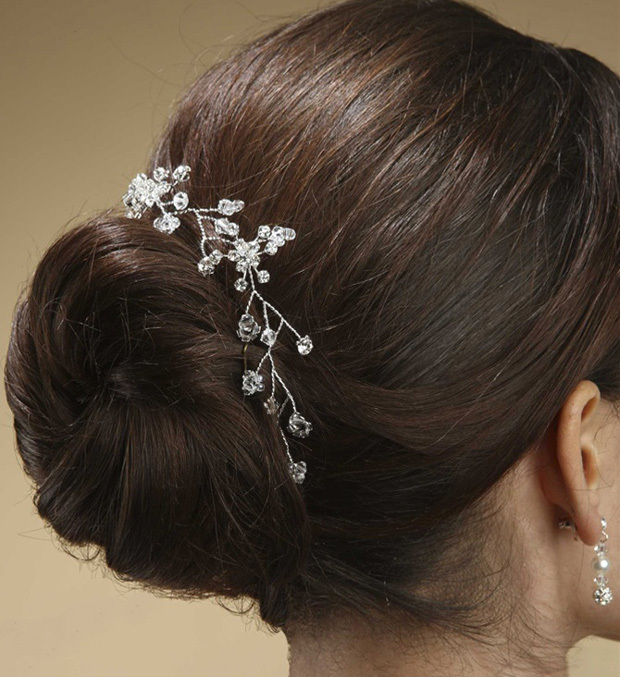 * The shimmering silver sprays on this flexible crystal hair vine can be positioned to accommodate any special occasion hairstyle. * Our clear crystal tiara vine is 12 1/2" long x 1 1/4" h with two silver combs. * This top selling hair vine adds the drama of couture styling with understated elegance.